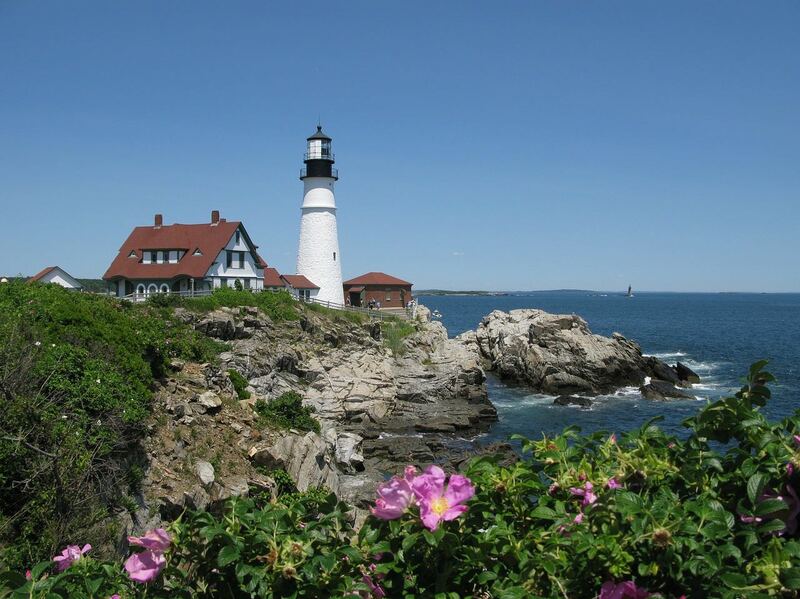 Portland, the largest city in Maine, is located in the Casco Bay on the Southern Maine coast. This small seaside city has a high concentration of cute shops, restaurants, museums, galleries, and many things to see and do. If you are driving from Boston, Massachusetts, it’s roughly 2 hours drive and approximately 100 miles (161 km) north of Boston. Be sure to drive up this scenic coast-hugging road. There are plenty of spots for great photographs. Consisting of the historic McLellan House, the L.D.M. Sweat Galleries, and the I.M. Pei Designed Payson building, this museum houses a large collection of Winslow Homer works, as well as 17,000 sculptures, paintings, and objects from the 18th-century onwards. Under 6 are free. Located next to the Museum of Art, this Museum features 3 stories of interactive exhibits, including “Our Town,” an area that includes an interactive grocery store, farm, vet and firetruck, and the “Explore Floor,” which includes “LL Bear’s Discovery Woods” and a mini planetarium. At the top of the building is the Camera Obscura, which offers panoramic views of the city and teaches children about light. Built in 1807, this National Historic Landmark is the only existing historic maritime signal station in the United States. Educational tours are offered at the 65-foot tower, or you can climb to the top on your own. Either way, you get great views of the waterfront. Visit for beaches and a beautiful lighthouse. Grounds open daily year-round and free. One of the most scenic lighthouses in the country. Adjacent to Fort Williams, a WWII artillery emplacement. Victoria Mansion, also known as the Morse-Libby House, is the finest example of residential design from the pre-Civil War era in America. With superb architecture and well-preserved original interiors that were among the most lavish and sophisticated in their day, it is an unparalleled document of America’s highest aspirations in architecture, interior design, and the decorative arts. Lighthouse across the Fore River in South Portland offers unparalleled views of the Portland skyline and Casco Bay. This coastal area in South Portland which is home to the old Fort Preble, Spring Point Ledge Light, Portland Harbor Museum, and Southern Maine Community College. There is a breakwater extending out into the harbor which is great to fish off of. Next to the downtown area along Commercial St. next to Casco Bay. The Old Port is filled with neat shops, restaurants, and cafés, and has something of a European feel to it thanks to its many narrow cobbled streets and old brick buildings. Go here to shop and eat at both high-end and casual, local establishments. The Old Port is a great place to take a walk and smell the ocean air. 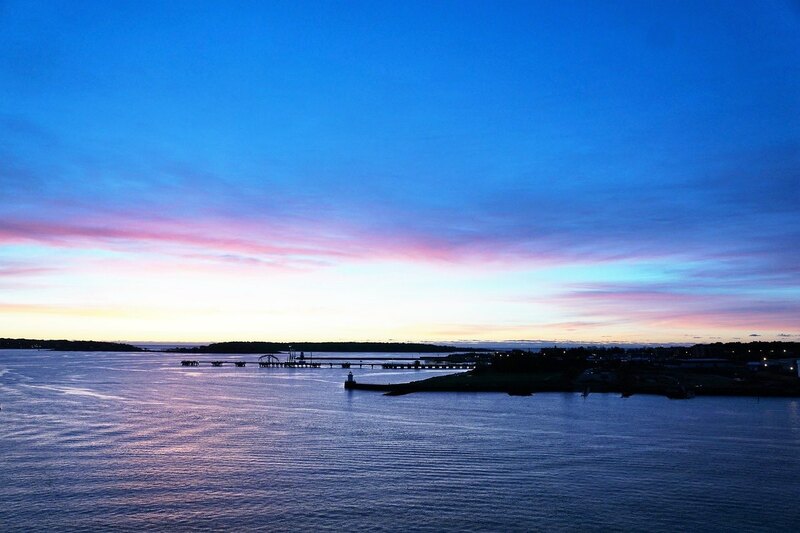 A neighborhood providing amazing views of the Casco Bay and the islands. A more residential area where you can see examples of mansions built by wealthy sea captains long ago. A 51-acre area in Portland with a tennis court, baseball diamond, playground, and pond. You can ice skate on the pond in the winter. In the summer, you can enjoy a wading pool and, on Saturday mornings, an extensive farmers’ market. Outdoor concerts, Shakespeare in the Park, and the Festival of the Nations take place here as well. In South Portland right across the bridge. Portland itself is not known for its beaches, despite plenty of oceanfronts. Baseball, Hadlock Field. A Boston Red Sox AA affiliate with a Fenway Park replica field. $3-8 (2006). Located in Portland’s historic Old Port, Fore River Gallery is owned and operated by four Maine artists, Elizabeth Prior, Mike M. Marks, TJ McDermott, and Liz Marks. Displaying the work they create, they offer a wide range of fine art including jewelry, paintings, sculptures, and ceramics. FREE. Displays vintage locomotives and offers scenic trips along the waterfront. Train schedule on the hour. This large inlet connected to the sea by a small canal has a recreation path over 3 mi (5 km) long and was designed by the firm of Frederick Law Olmsted and lined with linden trees to memorialize World War One dead. During the summer months, you can purchase tickets at the Maine State Pier, right next to the ferry. From 2-hour sails to overnight charters. Taking a tour of Casco Bay on the ferry is a great way to enjoy Portland from a different perspective. In addition to fishing vessels and cargo and tanker ships, during the Spring and Summer months many sailboats, yachts, and cruise ships provide enjoyment. Go on a lobster boat for a 2-hour cruise. You can help bait the traps, throw the traps overboard and more. Great for kids. Take a swim at East End Beach located on top of the munjoy hill. Portland, and especially the Old Port, has a reputation for many bars and pubs of varying caliber. From bars for longshoremen and lobstermen to pub serving micro-brews brewed on-site, to nightclubs, there’s something for everyone. In addition, there are numerous bars and clubs along Wharf Street a cobblestoned alley in the Old Port. The Great Lost Bear – Located outside of Old Port, this is a must for the discerning beer drinker. With over fifty beers on tap, “The Bear” has gained national renown for the variety, quality, and depth of its local and imported brews. Extensive pub menu with everything from burgers to vegan chili. The Top of the East – Located in the Eastland Hotel, it offers impressive views of the city and top-shelf libations. The Big Easy Blues Club – Live music in many styles from local, regional and national acts. Portland, and Maine, in general, does not have an extensive public transportation system, so renting a car is generally the best option. Also, please note that the Old Port and Downtown Arts District areas are very walkable and pedestrian friendly. Uber is available in Portland (24/7) and it is slightly cheaper than a taxi. Uber is also available to pick up and drop off at the Portland International Jetport. In keeping with Maine’s reputation as a relatively crime-free U.S. State, there is no place in Portland a visitor should feel like they shouldn’t visit during the day. As in any city, be alert in areas that are not well lit at night or deserted. Act with common sense and you should have no trouble. Maine state liquor laws require all bars to close promptly at 1 AM. The Old Port’s numerous bars empty into the street at this time. Some rowdiness is to be expected, but there is always an increased police presence on busy nights.